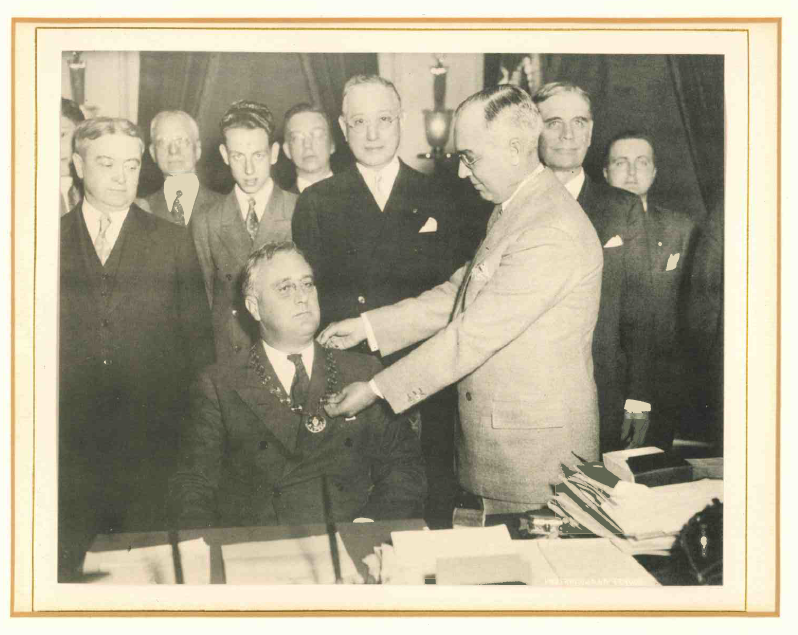 In the spring of 1933, Dad Land suggested to the Active Members of the Grand Council that they consider electing President Franklin D. Roosevelt a member of the Grand Council and, if that was successful, that Roosevelt be named Honorary Grand Master Councilor. The ballots, still in the archives of the Supreme Council, indicate that the members mostly – but not unanimously – agreed with the idea. The ballots received were sufficient to elect President Roosevelt to the Council and name him Honorary Grand Master Councilor. Dad Land famously presented him with his collar in the Oval Office in 1934 surrounded by DeMolays and Advisors. Following this precedent, the Supreme Council has elected five other individuals to be Honorary Grand Masters in recognition of their dedication and service to the Order and humanity. In America, we have always advocated equality of opportunity, but have also recognized achievement, and that achievement merits reward. The belief is prevalent in some quarters that mere birth or citizenship is sufficient reason for the total satisfaction of all personal needs; that in some miraculous way the government should guarantee on every birth certificate full employment at high wages, protection against sickness, security in old age, and most everything imaginable, regardless of the person’s productivity and accomplishment. This concept of life will never get us anywhere. It is contrary to the law of progress, shrivels the human soul, and robs a man of the dignity with which democracy and Christianity clothe him. Such a theory finds no encouragement in Freemasonry. Its theme song is, “Build it well, what’re you do.” The operative Mason of olden times stepped out of the ranks of the ignorant to learn and grow and become a master craftsman. The speculative Mason advances from Entered Apprentice to Master Mason. 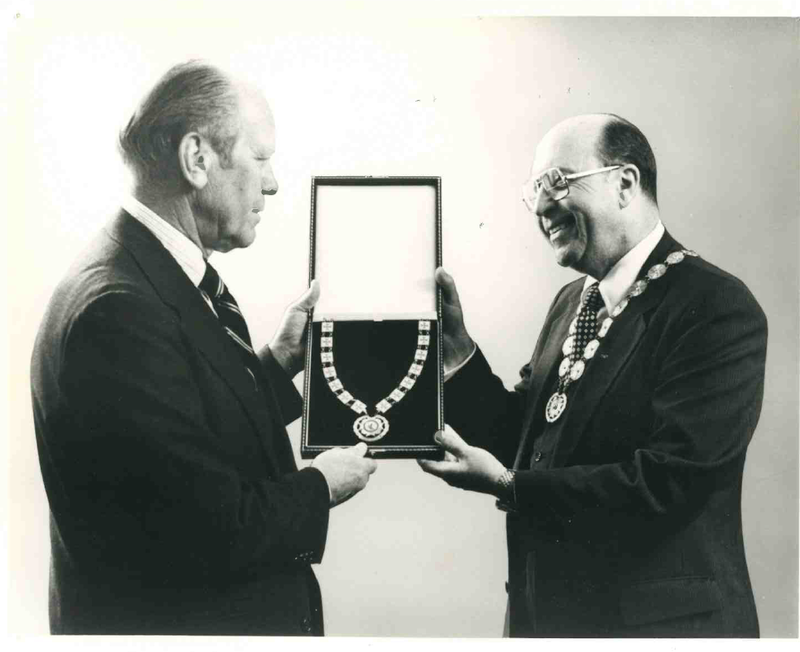 Freemasonry marches along with democracy in advocating equality of opportunity, but it, too, believes that accomplishment gives luster to life. Masonry’s whole plan of man-building is useless unless a man has the incentive to move out of the mass and work out his dream for a richer, happier, and more useful life. 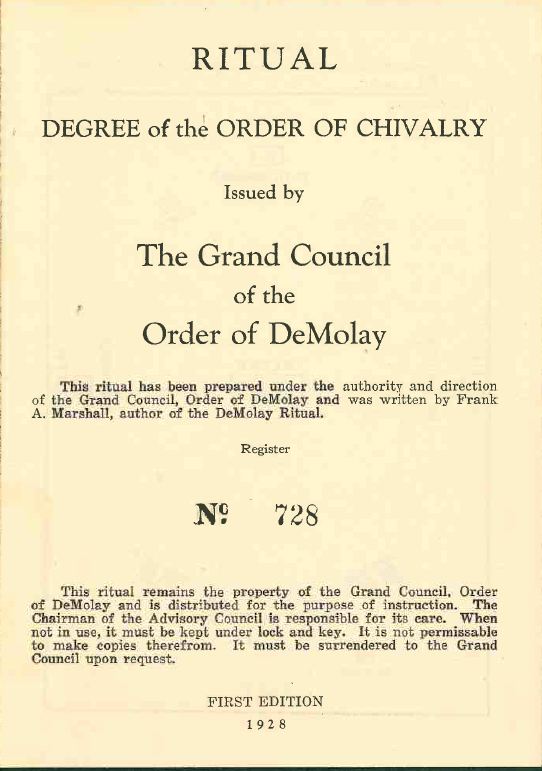 Senior DeMolay from H.C. Plumley Chapter in Fargo, North Dakota, PMC-MSA, BHK. He was an active Boy Scout and earned the Eagle Scout Award with a Gold Palm. Named a Distinguished Eagle Scout. Served as Assistant Attorney General for 6 years, heading the Consumer Fraud and Antitrust Division. Served in the Governor's Cabinet as State Securities Commissioner from 1981-1983. Appointed to serve as a North Dakota Public Service Commissioner in 1983. Elected to two consecutive 6-year terms in 1984 and 1990, and served until 1992. 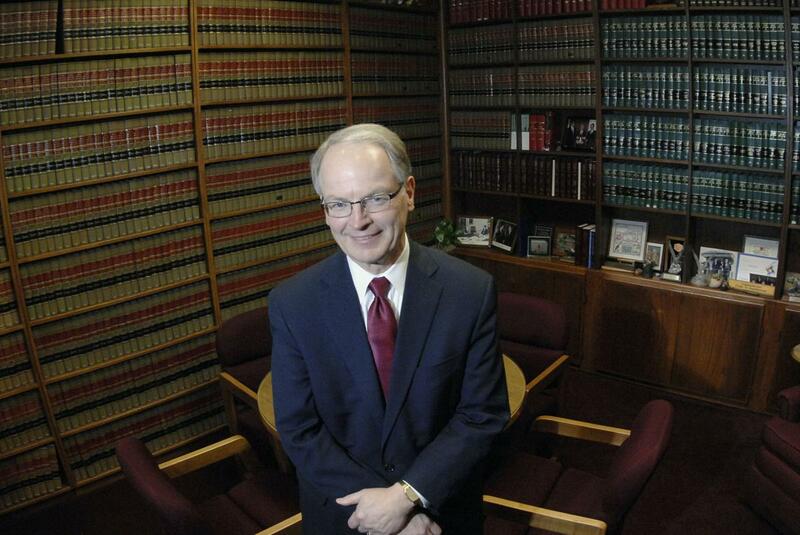 He was elected to the North Dakota State Supreme Court as a Justice in 1992 and was re-elected to 10-year terms in 1996 and 2006. He served on the Court from 1992, a total of 24 years on the bench as of his retirement on December 31, 2016.